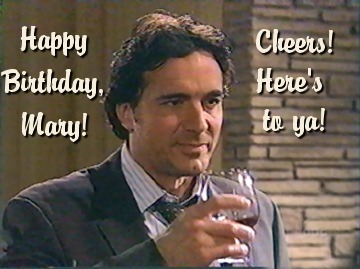 Official Thorsten Kaye Web Site > Categories > Non-TK-Related Topics > Happy Birthday June (jam)! Hope your birthday is filled with all the good things you wish for! June,they say it's your birthday,so happy Birthday to YOU! wishing you a VERY happy one & many,many more.Best wishes to you.Big HUGS. Big hugs to you June, they say its your birthday. Big hugs. Happy Birthday, June! You got a nice little birthday surprise today, didn't you! Happy birthday to you. I hope your day was filled with everything you wanted. You are a good person, and I want you to have good things not only on your birthday, but forever in your life. Forever and Always. Happy happy belated birthday and many more.